After my post about Tomahawk, I received a comment from Brisbane beer blogger 250 Beers. 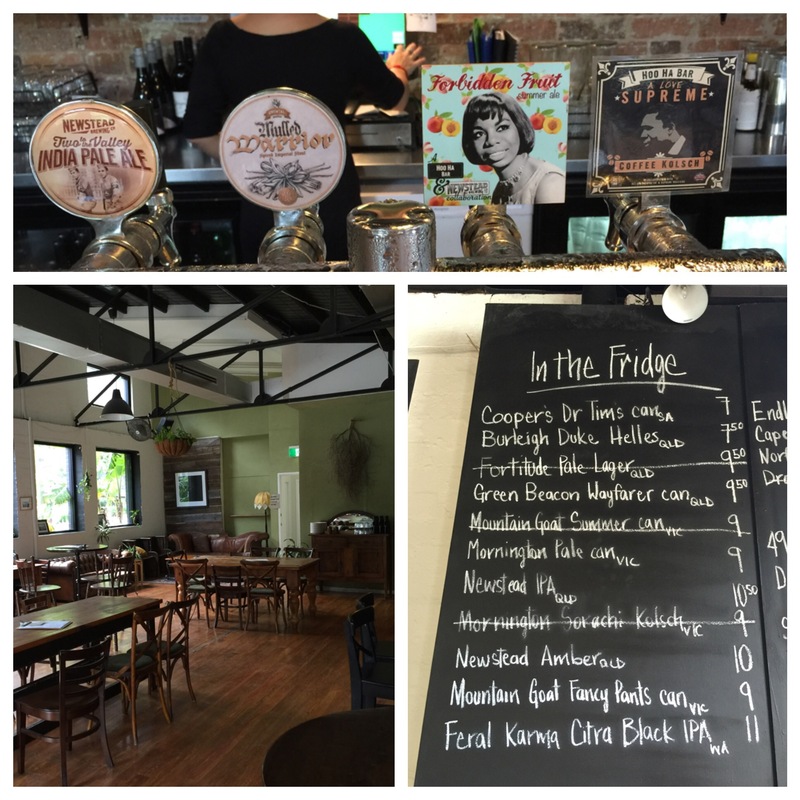 He alerted me to a couple more beer venues that are close to the Brisbane Convention Centre. Both were outstanding and like me you should cop 250 Beer’s tip if you are ever in this part of Brisbane.​ Both are far more intimate and offer more variety than the gargantuan Charming Squire, a Malt Shovel brewhouse that seems like it covers half a block. Hoo Ha works hard. They are open from 7am until midnight. I popped in for a long black and perused a lovely little beer list. They’ve refurbed an old brick building beautifully and I’ll have to return to run through their taps, which looked intriguing. It turns out I was just around the corner from Hoo Ha when I was drinking at Tomahawk. Know for next time. Saccharomyces was his second tip, and like Hoo Ha this establishment is open from 7am during the week and goes all the way through to midnight. 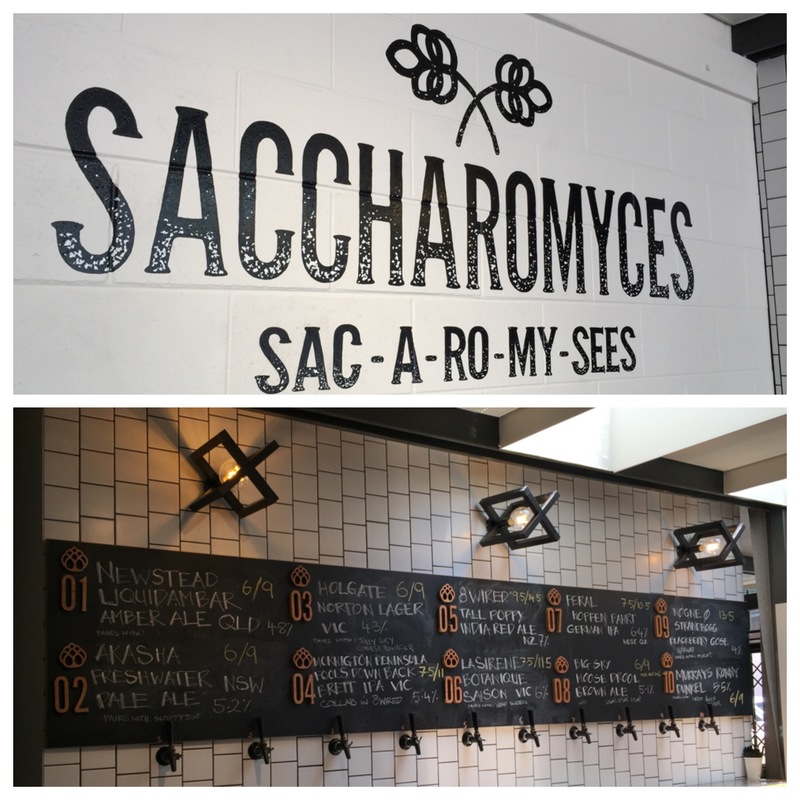 Unlike Hoo Ha, Saccharomyces is in a very modern building and has a very stark functional fit-out. I love the window benches that face out onto Fish Lane. The hero is the 10 tap wall, which sits over fridges stuffed full of some of Australia’s finest craft beers. Didn’t get to see the lunch menu, but it looks American and for each beer on the tap wall is a recommended food pairing. Looking forward to returning for a feed at some time in the future. And what’s the name mean? Saccharomyces is a family of fungus that includes multiple species of yeast. The website gives appropriate homage. I don’t to get to Brisbane much at all these days, but it is great to see that there is a thriving beer scene to enjoy if I do. Great also to be exposed to a number of Newstead Brewing Co beers. Beer of the trip would have to be Newstead’s LiquidAmbar. Stunning beer, without being too heavy. That’s awesome – great that you got to try out Hoo Ha and Sac! 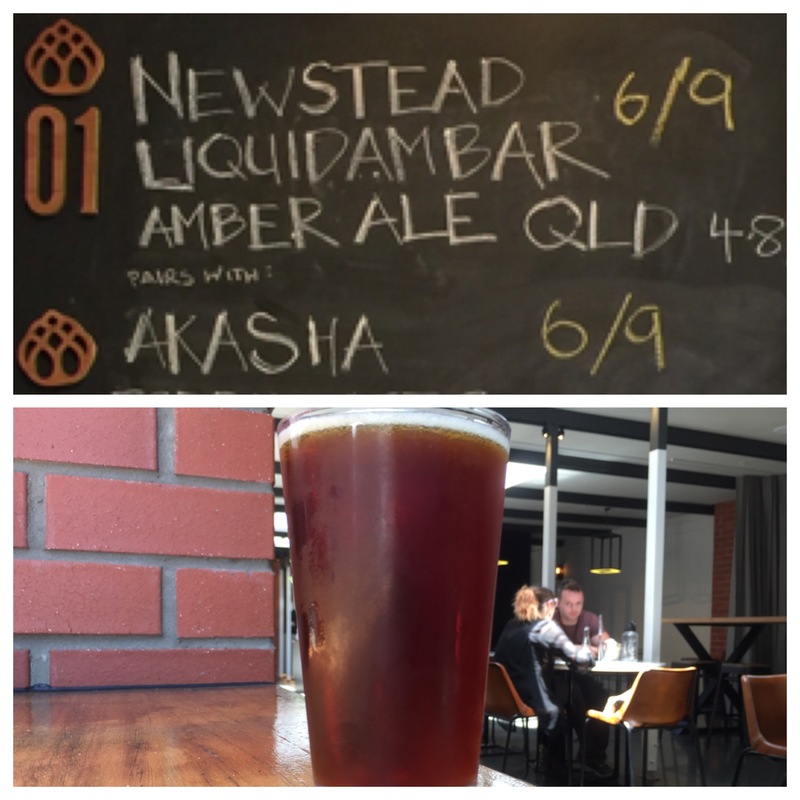 I hadn’t mentioned that I work for Newstead Brewing Co. so it’s great also that Liquidambar hit the spot!! Boo ha …. was staying right around the corner two weeks ago and ended up somewhere average. Next time!